As a student, having a car is essential but qualifying for traditional vehicle financing can be difficult when you don’t meet the requirements of banks and credit providers. The good news is that there is another vehicle financing option that will suit your needs at Earn-a-Car. At Earn-a-Car, we offer a wide range of second hand vehicles at affordable prices – and by choosing to get your car through us, you won’t have to worry about getting approved or borrowing money from friends or family. Once you have filled out our application online, you simply select the car of your choice and we will let you enter into a rental agreement with us that will allow you to use the car and even reward you with cash back at the end of every successful month. 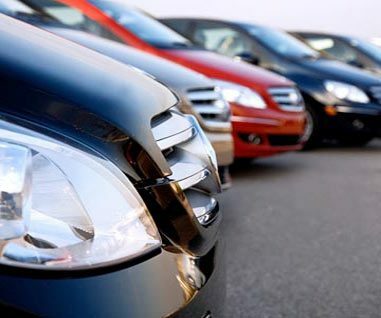 Our affordable rates and payment plans include all the necessities that would normally be beyond the budget capabilities of a student, such as insurance and break down assist, and – depending on the payment plan – you could be the proud owner of your very own vehicle in as little as three-and-a-half to six years. By telling your friends about Earn-a-Car’s unique vehicle financing methods, you could even earn an extra income. For every lead you give us that results in a deal, we will give you R500.00 commission and, as a student, that money can go a long way. For affordable vehicle financing that will suit your budget and set you on the path to independence, contact Earn-a-Car today.